Dil Raju is back with a bang with blockbuster success in the form of F2 starring Venkatesh and Varun Tej as leads, directed by Anil Ravipudi. 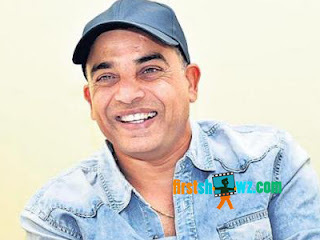 The film has attracted all sections of audiences, and now producer Dil Raju reveals details on F2 sequel. The star producer has confirmed the news and he informed that a new hero will be joining the current cast, and they are in plans to release the movie for 2021 Sankranthi season. The script work is currently in progress, and let's see who makes it to F3 Cast and Crew. F2 had Venkatesh, Varun Tej, Tamanna Bhatia, Mehreen Pirzada as the leads, and the supporting cast includes Annapurna, Pragathi, Prakash Raj, Priyadarshi, Rajendra Prasad, Y.Vijaya, Srinivas reddy, Vennela Kishore, Nassar et al. F2 competed with big-budgets NTR Kathanayakudu and Vinaya Vidheya Rama and resulted as a blockbuster.